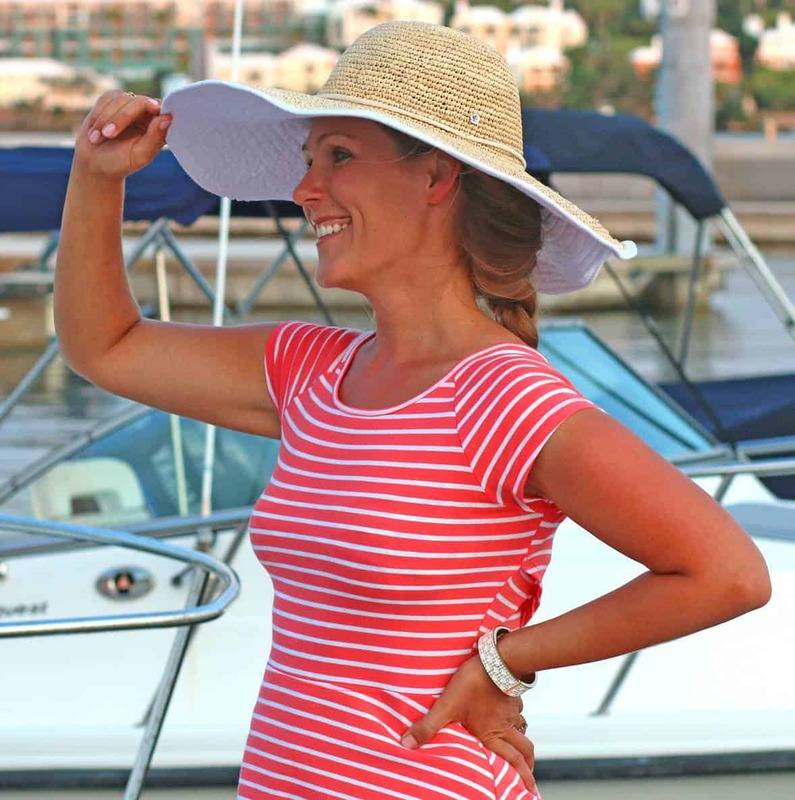 I’ve teamed up with Bertolli to bring you this delicious post! I Love Tuscany. It’s one of my favorite places and among the top destinations I regularly long to visit. Most of you know I’m originally from Stuttgart, Germany. Germany is such a perfectly central location which makes it ideal for traveling around Europe, something we did many times over. Before we moved to the U.S. my brother and I wanted to do a final tour of Italy. We intentionally didn’t plan out an itinerary, we just wanted to go wherever the mood took us. So we jumped in the car with a suitcase and made a straight-shot 9 hour drive to Tuscany. We spent several days exploring the region, seeing the sights, enjoying great food. One afternoon as we were approaching dusk, our favorite time of day, we were driving through the country hills dotted with cypress trees. We turned on Nat King Cole. We could have listened to Mario Lanza, Pavarotti, or Eros Ramazzotti, but the King just felt right for that moment. 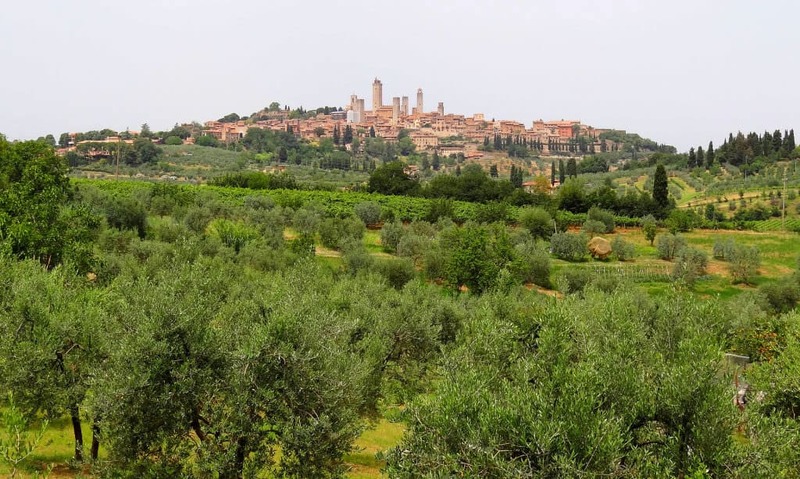 So there we were, peacefully driving through that gorgeous and serene landscape, no specific destination in mind other than a country drive, when we stumbled upon San Gimignano, a walled city we could see sitting on a hill in the distance. We headed in that direction and found what has become one of our favorite towns in Tuscany. 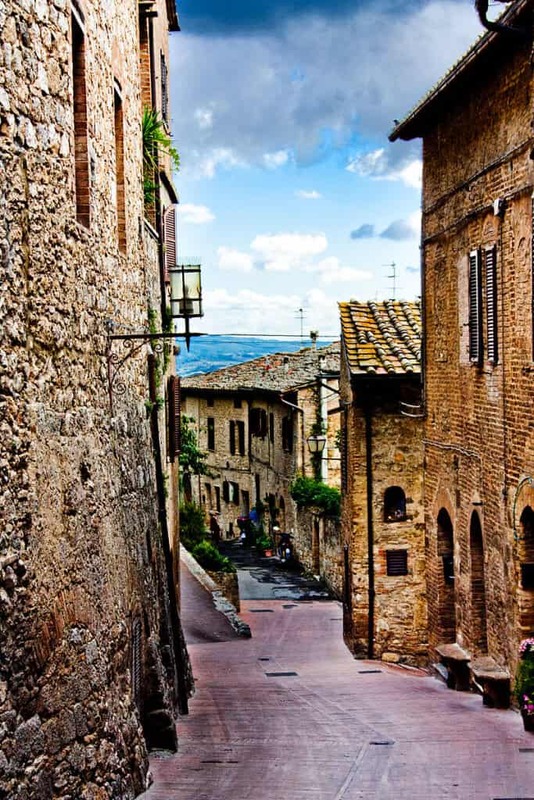 This medieval walled city has all the charm you can imagine in an old Italian town. Old stone buildings and churches, beautiful architecture, winding alleys, and the most gorgeous views overlooking the Tuscan countryside. And it even has the world’s best gelato. No seriously, it won the World Gelato Championship and the master gelato maker there has the most incredible gelato you can possibly imagine. The walls of the parlor a plastered with cards and letters from celebrities from all around the world, thanking them for their amazing gelato. 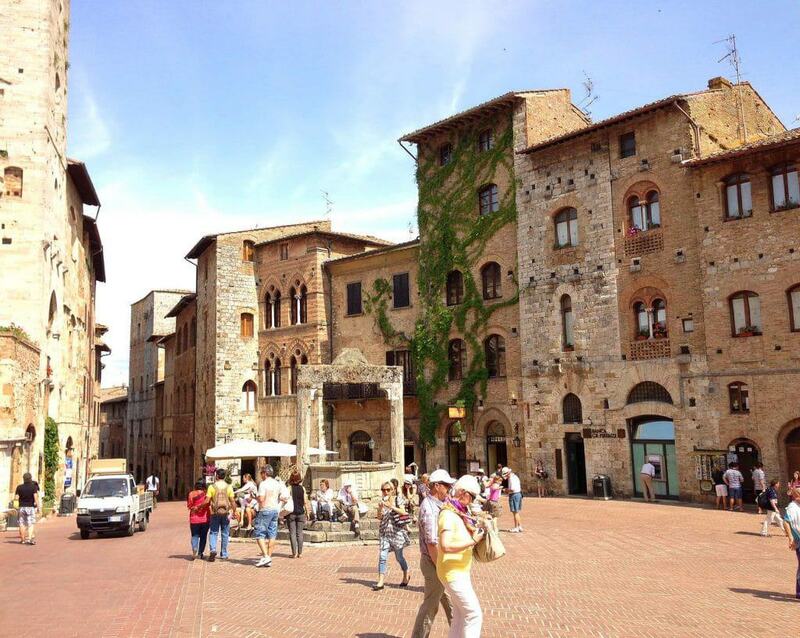 Yes, if there’s gelato in heaven (and there’d better be), they import it from San Gimignano. 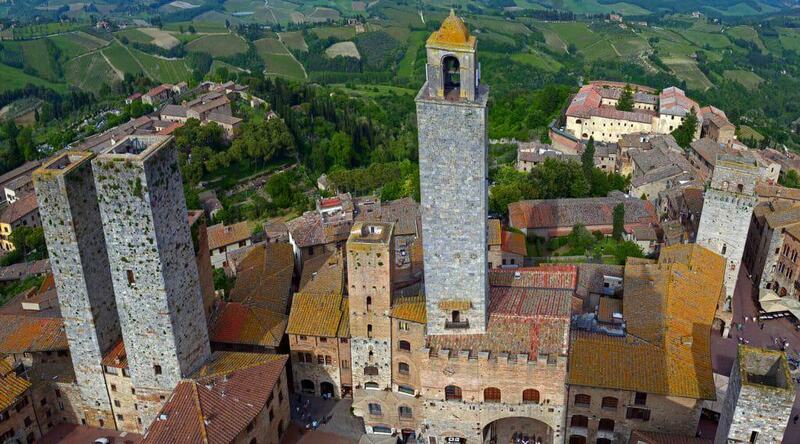 If you’re ever in Tuscany be sure to visit San Gimignano. And as you’re sampling the world’s best gelato you can thank me for having sent you there. 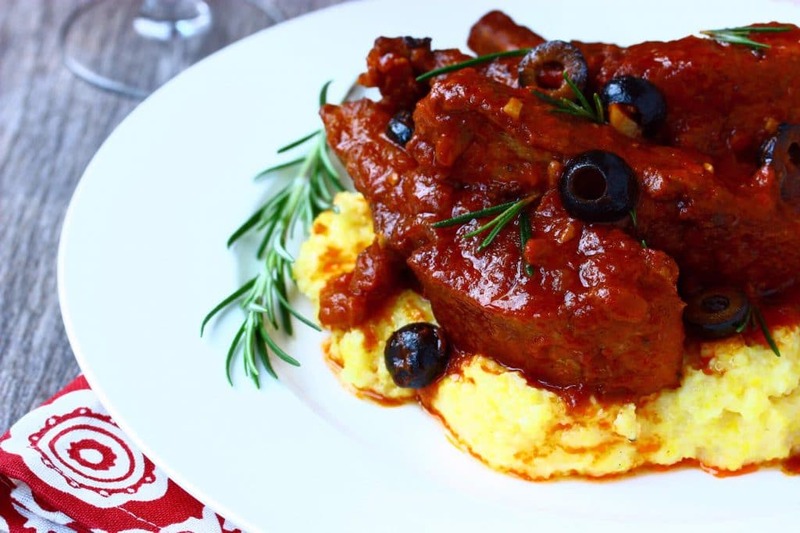 Both in celebration of my love for Tuscany I want to share a very special recipe with you. 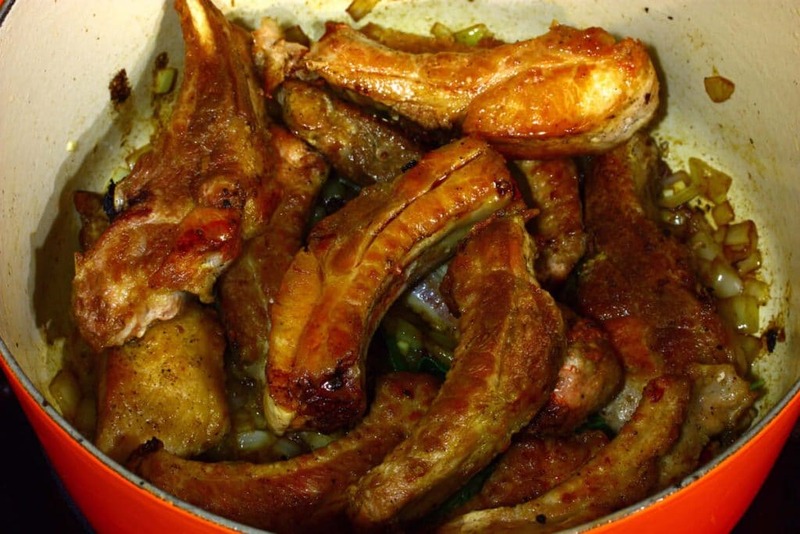 I’ve recreated a classic Tuscan dish that showcases pork ribs. That’s right, pork ribs aren’t just for barbecuing. 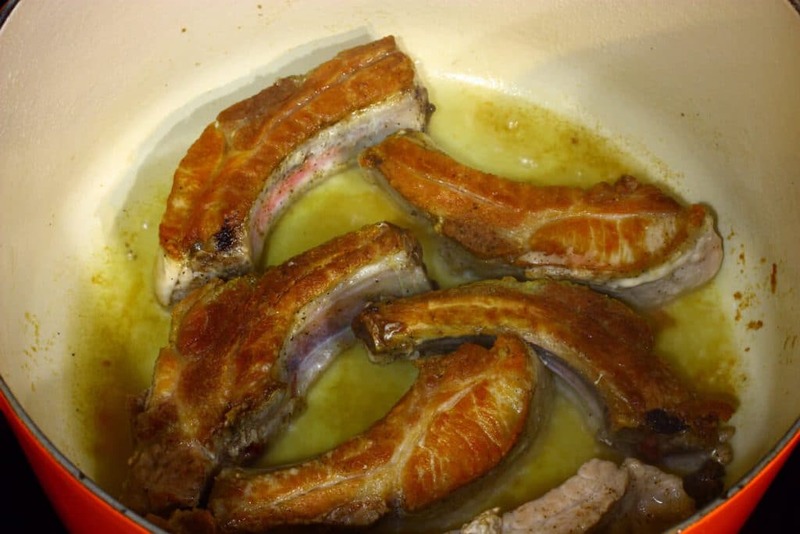 I’m going to show you how the Italians prepare pork ribs! 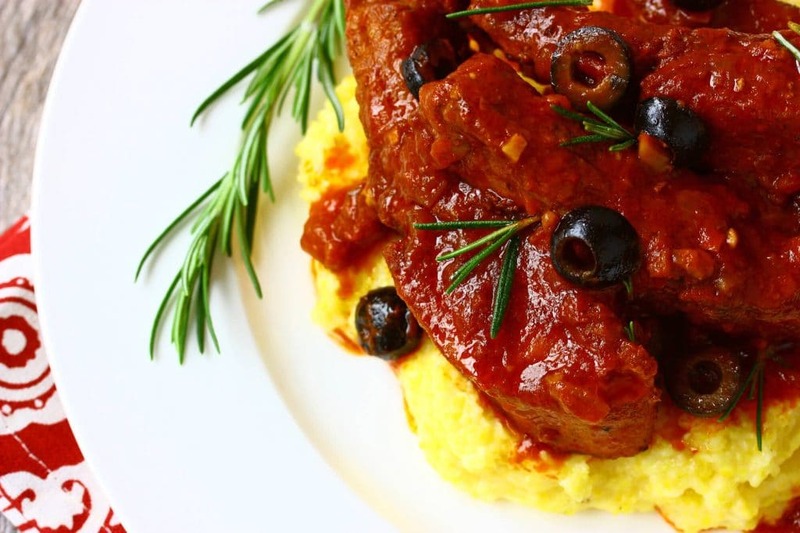 This dish is from Florence in the heart of Tuscany. 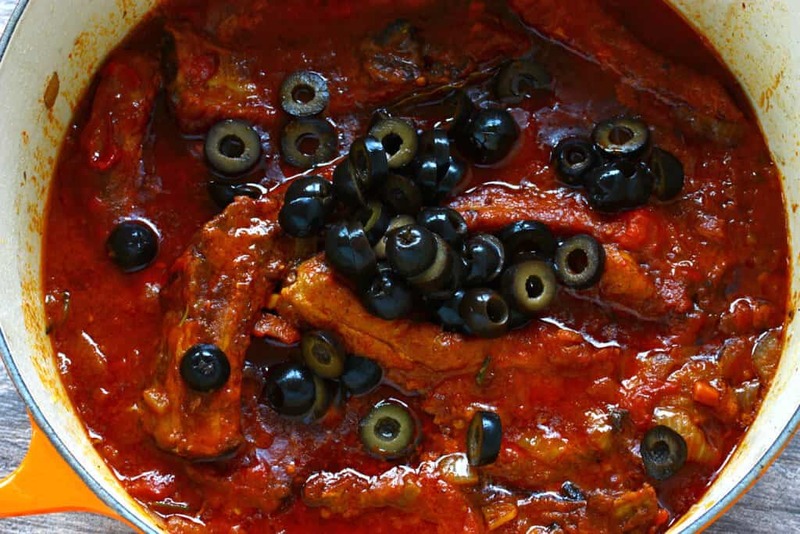 It features a deliciously rich tomato-based sauce infused with red wine, caramelized onions and herbs, dotted with black olives, and pork ribs so tender they fall right off the bone. In preparing this dish I wanted to use a quality tomato sauce made with quality ingredients that would boost the flavor of the dish. Bertolli fit the bill and it seemed an especially fitting occasion to use their sauce since this year marks their milestone 150th anniversary. Plus, they’re based in Tuscany! I headed to Fred Meyer just in time for their Taste of Italy program. 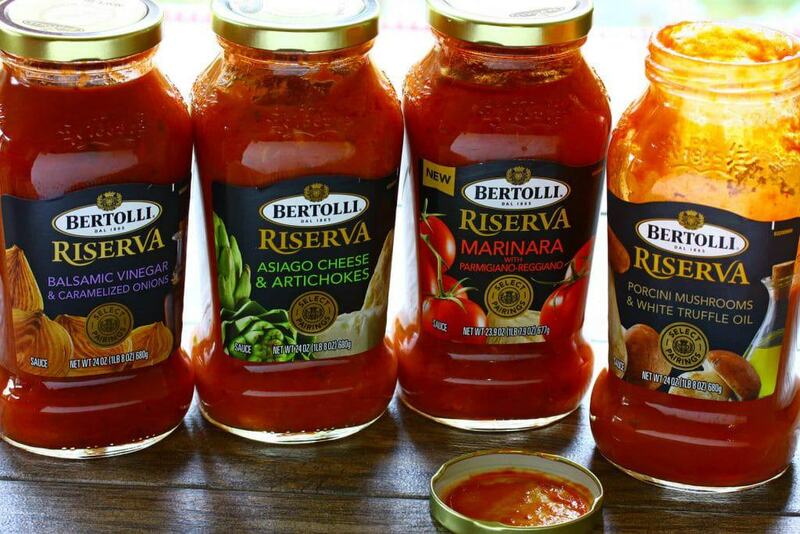 This program enables shoppers to enjoy the flavors of Italy through coupons, recipes and opportunities to win prices and Bertolli, the world-renowned producer of fine Italian tomato sauces and now celebrating their 150th anniversary, is a participating partner. For this recipe I chose Bertolli’s new Tuscan-inspired Riserva Porcini Mushrooms & White Truffle Oil Sauce because I absolutely adore porcini mushrooms and also couldn’t resist infusing my dish with the flavor and aroma of white truffles. I headed home and got everything going in Dutch oven for it’s slow and low 3-hour cooking process (ie, hands off and fuss-free!). Our family sat down for dinner that night and the kids actually ate in silence – they were concentrating on how good this dish was! 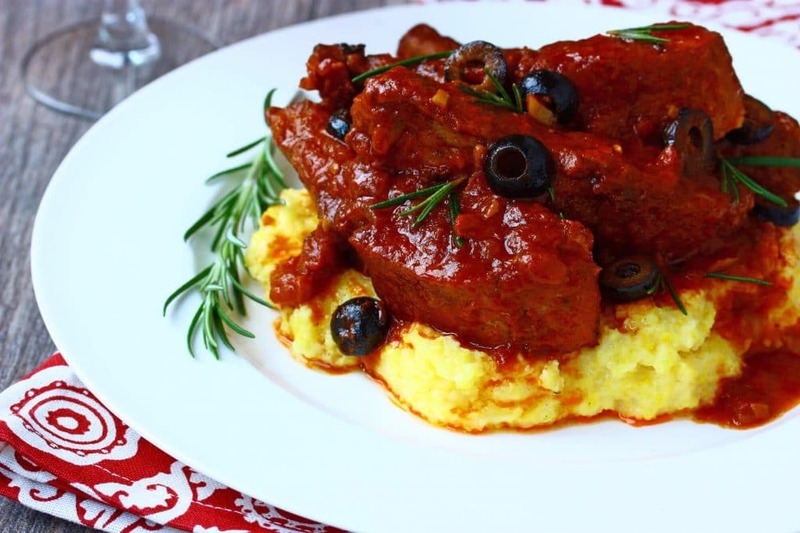 And now I’m going share with you this truly mouth-watering dish from the heart of Tuscany! You’ll need 3 pounds of pork ribs. 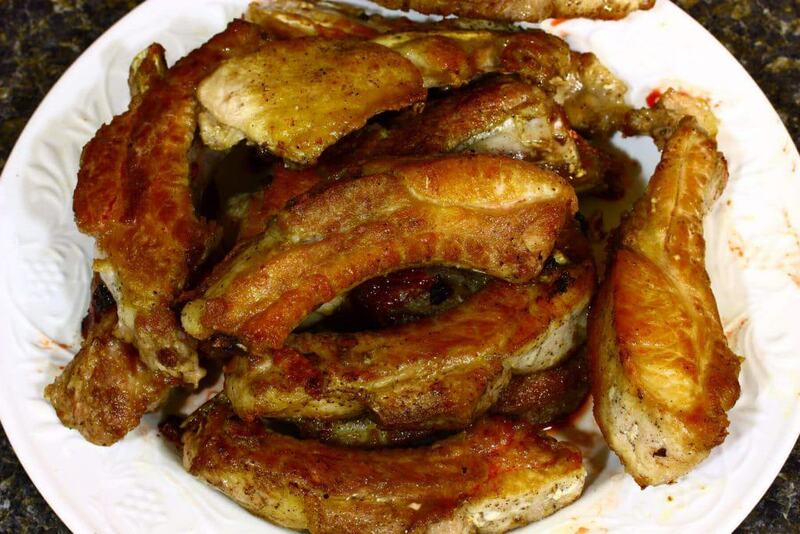 You can use baby back ribs or country style ribs. 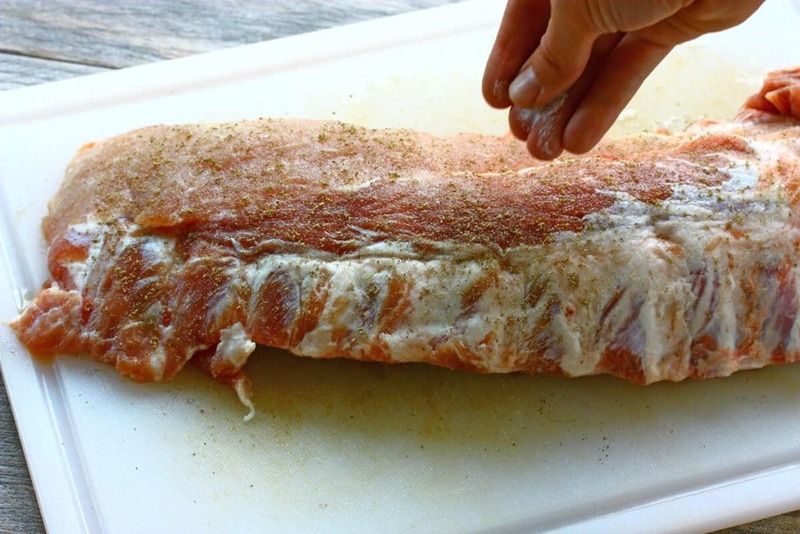 If using baby back ribs be sure to remove the fascia/membrane from the back side of the ribs if it isn’t already. Sprinkle both sides of the rack with salt and freshly ground black pepper. Heat the oil in a large Dutch oven over medium-high heat. I used my 5 1/2 quart Le Creuset Dutch Oven. Once the oil is good and hot add the ribs, being careful not to overcrowd or they won’t brown, and brown them generously on all sides, working in batches. Transfer the ribs to a plate and set aside. Add the onions and cook until starting to lightly brown, 8-10 minutes. 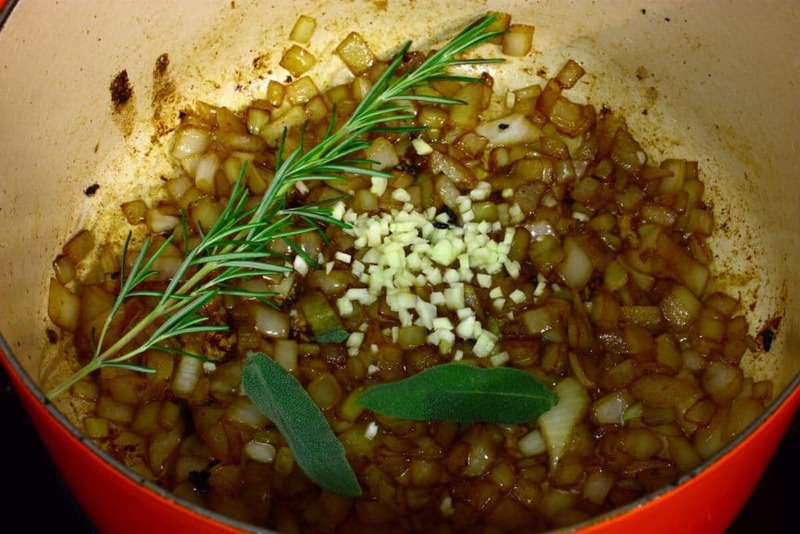 Add the garlic, rosemary and sage and cook for another minute or two. Add the red wine and bring it to a rapid boil. Reduce the heat to a moderate boil and continue to boil for 3-4 minutes until the alcohol evaporates and the amount of liquid is slightly reduced. Add the crushed tomatoes, tomato sauce, tomato puree, bay leaves, salt and pepper. Give everything a few good stirs to combine. Bring it to a boil, reduce the heat to low, cover and simmer for 3-3 1/2 hours or until the pork is fork tender. Stir in the olives and simmer for another 3-4 minutes. 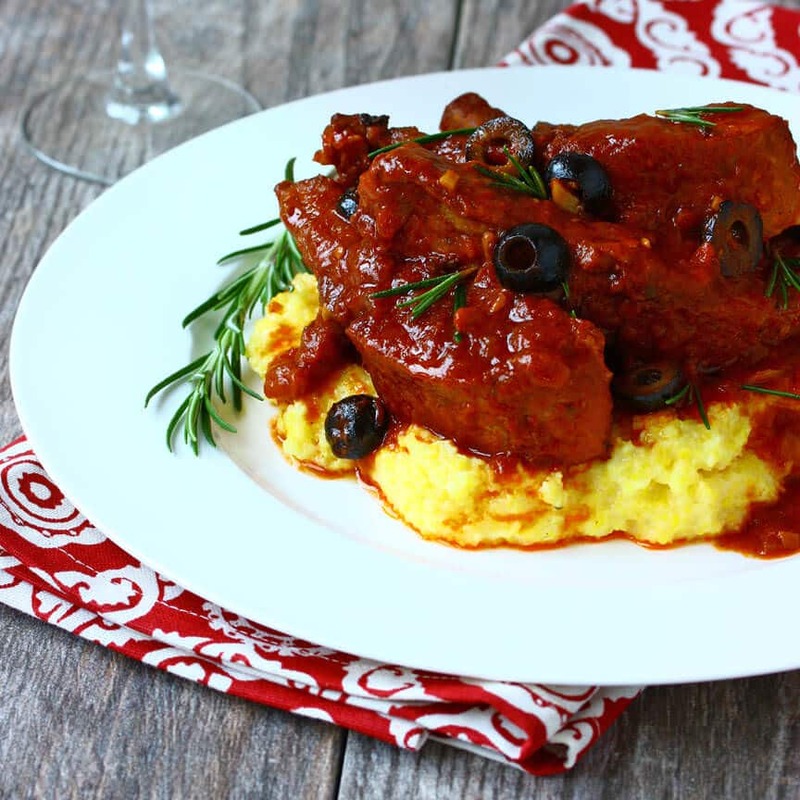 During the last 15 minutes of the ribs cooking, make the polenta. Add the milk and water to a medium stock pot and bring it a boil. Gradually pour in the cornmeal, constantly whisking to prevent lumps. Reduce the heat to low and continue to whisk regularly. If using regular coarse cornmeal it will take 15 minutes or so. Add the butter and stir to combine. You want to have this ready right before serving while it’s hot and tender. 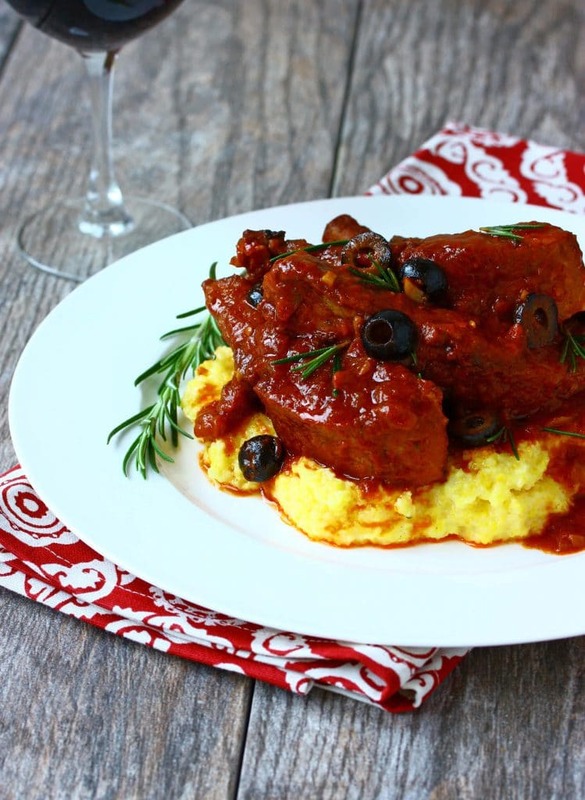 Dish up the polenta onto individual plates and top with some ribs and sauce. Serve immediately with some fresh rosemary for garnishing. A classic dish from Florence in the heart of Tuscany. Sprinkle both sides of the rack of ribs with salt and freshly ground black pepper. Slice into individual ribs. Heat the oil in alarge Dutch oven over medium-high heat. 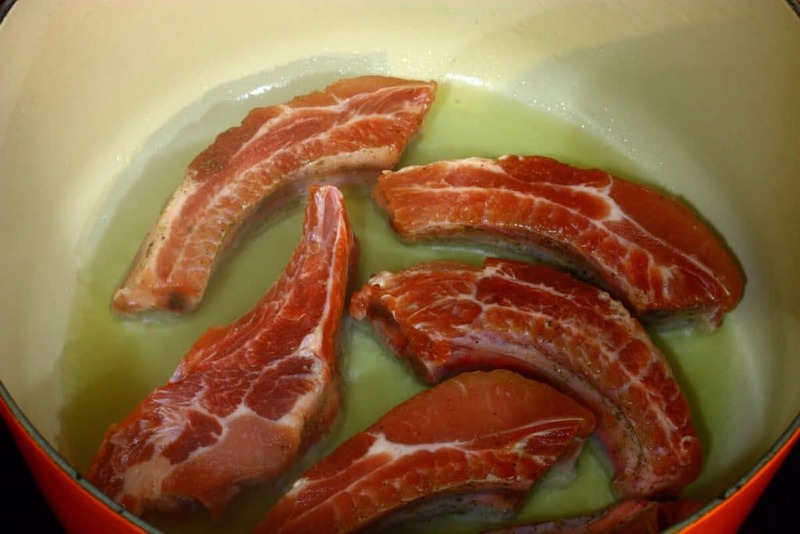 Once the oil is good and hot add the ribs, being careful not to overcrowd or they won't brown, and brown them generously on all sides, working in batches. Transfer the ribs to a plate and set aside. Return the ribs to the Dutch oven. Add the red wine and bring it to a rapid boil. Reduce the heat to a moderate boil and continue to boil for 3-4 minutes until the alcohol evaporates and the amount of liquid is slightly reduced. Add the crushed tomatoes, tomato sauce, tomato puree, bay leaves, salt and pepper. Give everything a few good stirs to combine. 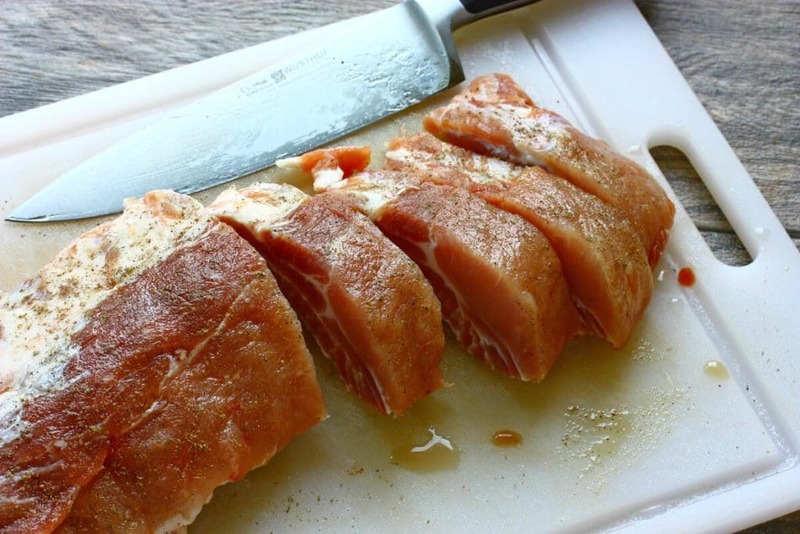 Bring it to a boil, reduce the heat to low, cover and simmer for 3-3½ hours or until the pork is fork tender. Stir in the olives and simmer for another 3-4 minutes. Add salt and pepper to taste. During the final 15 minutes of the ribs cooking, make the polenta: Add the milk and water to a medium stock pot and bring it a boil. Gradually pour in the cornmeal, constantly whisking to prevent lumps. Reduce the heat to low and continue to whisk regularly. If using regular coarse cornmeal it will take 15 minutes or so. Add the butter and stir to combine. You want to have this ready right before serving while it's hot and tender. Make the Polenta during the final 15 minutes the ribs are cooking: Bring the milk, water and salt to a boil in a large heavy saucepan over medium-high heat. Gradually pour in the cornmeal, whisking constantly to prevent lumps. Reduce the heat to low and simmer for about 15 minutes, stirring regularly. Time this to be done just before serving while it's hot and tender. 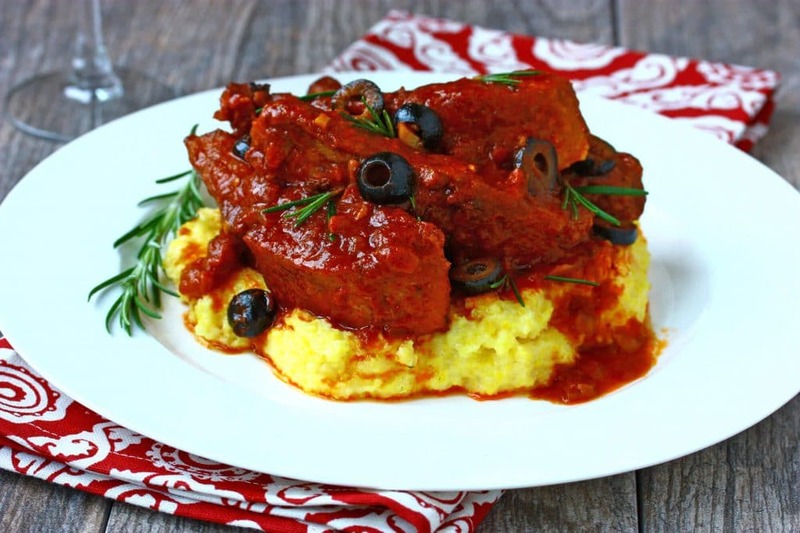 Paleo: A great alternative to the polenta is spaghetti squash. Oh my, I am drooling! We were fortunate to live in Florence & other Italian areas & savored the spectacular foods & the people. Our home was on the hill near Michelangelo Square, where our 2 children played in the olive groves with the local children & where I spent great amounts of time standing, & leaning on the rails gazing at The Duomo. 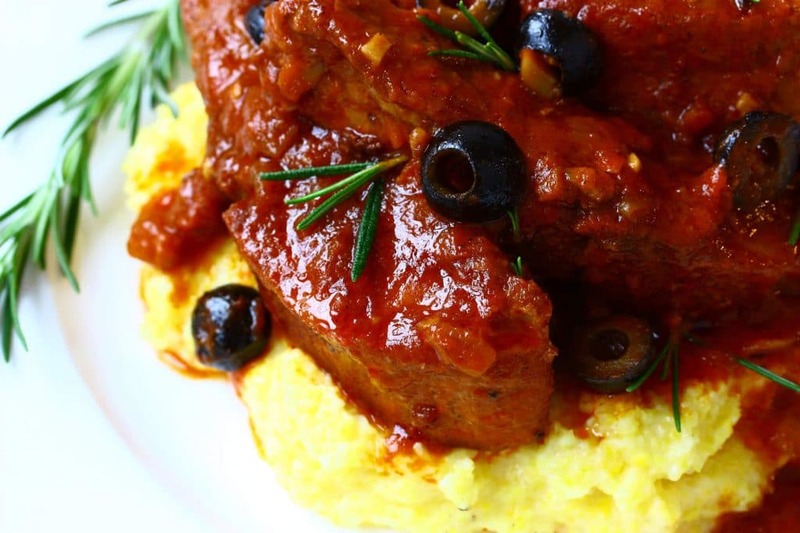 Thank you ever so m much for this recipe of ribs/polenta. But, most of all for the wonderful resurgence of our Italian memories! That’s fantastic, Barbara, those are such treasured memories! We enjoyed many wonderful trips to Italy, it’s one of my favorite countries. Were in you Aviano or Camp Darby by chance? My family wasn’t military but we did have access to the installations. Stories like this are why, when we lived in southern Italy for 4 weeks this past summer, I insisted on renting a car. This town looks fabulous! And this sounds wonderful! Thanks, Laura! I agree, for touring outside of a major city a car is an absolute must! 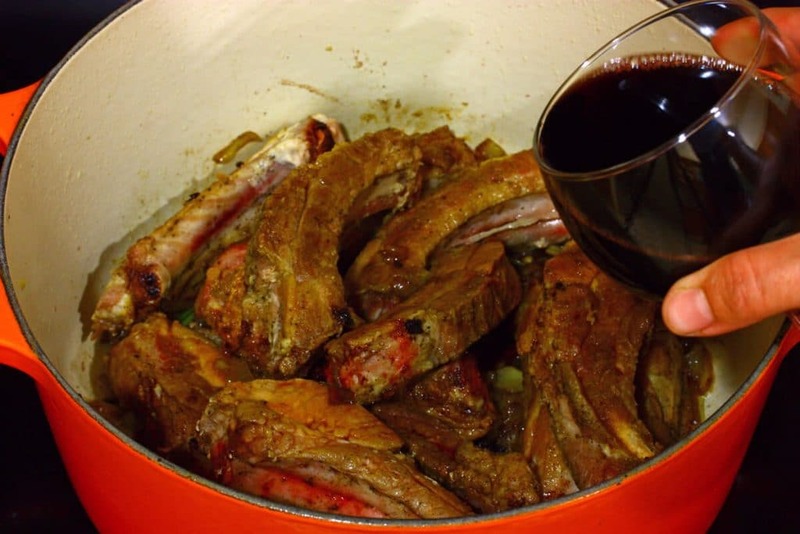 I’ve never made pork ribs in my Dutch oven, this sounds incredible with the red wine and olives, I need to try this soon! Wow that sounded like one incredible trip, definitely one of a lifetime! Those new Bertolli sauces sound amazing, especially the balsamic and caramelized onion one! YUM! Italy is such an amazing place, Krista! What deliciousness have you presented to us! Love your travel photos too. What an amazing goodbye trip! 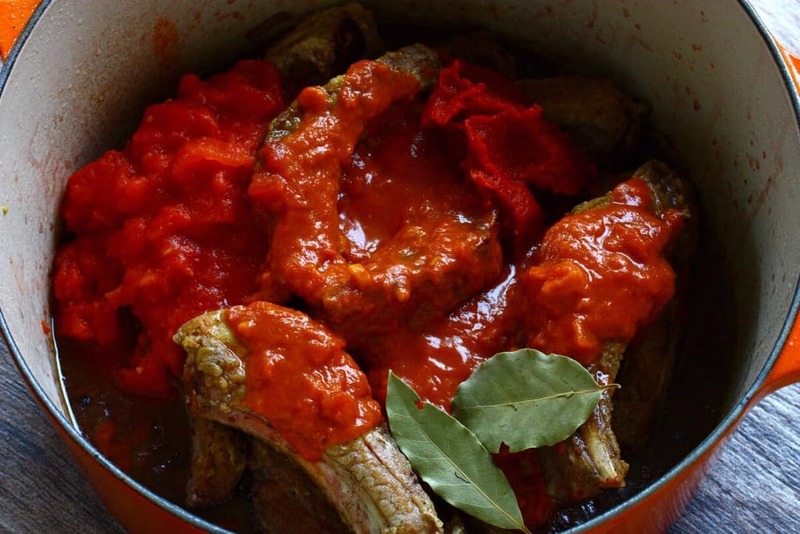 I would love to taste the world’s bet gelato and these ribs look delicious! Tuscany looks so beautiful! I would love to visit there someday. This meal looks great. I love Bertolli! I hope you make it there someday, too, Ashley! Do you think the “simmering” for 3 to 3 1/2 hours be done in a crock pot? This reminds me of my Italian mother’s cooking when I was a child. Thanks for the recipe! I definitely want to give a try but I don’t have a Dutch oven. Hi Joanne, the simmering can definitely be done in a crock pot. You’ll just want to make sure you do all the other steps first – like the browning (essential!) – and then transfer everything to the crockpot. this on the menu this week! when I was back home in the UK my job covered Europe, the Middle East and Africa, and the place I loved to go to was Italy for the wonderful food. Hi Colin! You must have had some pretty amazing adventures and enjoyed some great food. Agreed, it’s just really hard to beat good Italian food.